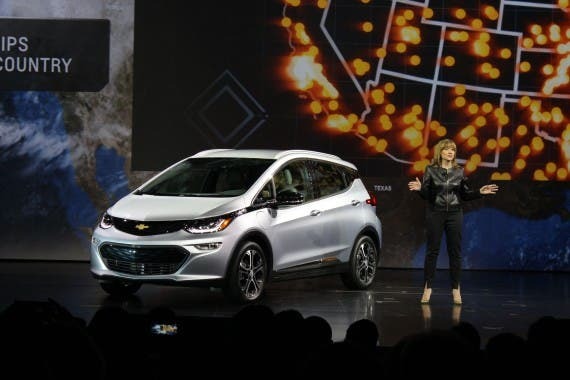 General Motors CEO Mary Barra shared with investors on Wednesday that the company is planning a new family of electric vehicles that will be both affordable and profitable. The news was dropped by Ms. Barra at the Barclays Global Automotive Conference in New York. The news is a not-so-subtle jab at electric vehicle manufacturer Tesla that has produced award-winning electric vehicles for years now but has only turned a profit in one single quarter in its history. General Motors and other legacy automotive manufacturers have been less aggressive in moving into the plug-in and electric vehicle market, instead content to continue the push gas-guzzling sport utility vehicles and trucks. General Motors threw caution to the wind with its Chevrolet Bolt, which was brought from concept to production in record time, largely due to significant outsourcing of the majority of the powertrain and powertrain control equipment to LG. Profitability likely means taking a rough cut at these outsourced components, including a close look at the single largest expense in the vehicle — the battery pack. To that effect, as first reported by Reuters, Ms. Barra shared that GM has plans to cut the cost of its lithium-ion battery cells to less than the $100/kWh that has become synonymous with bringing electric vehicles down to register price parity with internal combustion vehicles by 2021. Disruptive innovation is often just that — disruptive to existing markets and market leaders as startups have more to gain and nothing on the same scale to lose. More willing to throw all their chips on the table, they push the envelope before profitability of the new product is in full swing. This challenge has threatened Tesla itself several times, and is a common theme of distress in startup world, with more than 90% of startups failing within the first few years. Electrification and autonomous driving are hitting the automotive industry in a three-pronged attack of innovation, shattering conventional powertrain models, promising the restoration of driving time to drivers through autonomous driving technology, and transforming the future of personal vehicle ownership — or lack of ownership. GM currently purchases ZEV (Zero Emission Vehicle) credits from other manufacturers that have a surplus, like Tesla, in order to meet required ratios compared to internal combustion vehicles. Barra shared that the sales ramp of its electric vehicles will be able to meet these targets by 2019, including sales from joint-venture partners. That sales ramp will see GM selling 1 million electric vehicles per year by 2026, with a significant percentage of those being in the world’s largest plug-in vehicle market, China. The renewed push into electric vehicles is based largely on GM developing a new electric vehicle platform that will support its larger vehicles (vans, sport utility vehicles, and 7 other vehicles). GM isn’t completely waiting around for the R&D folks to finalize the new platform. Rather, it will be introducing 3 new electric vehicles by 2020 based on its Bolt platform, including two crossovers, a market segment largely untouched by electric vehicles — with the exception of the Kia Soul EV. Throwing a final jab at Tesla, Barra noted that GM is not capital constrained with regards t0 its electric vehicle and autonomous vehicle development. 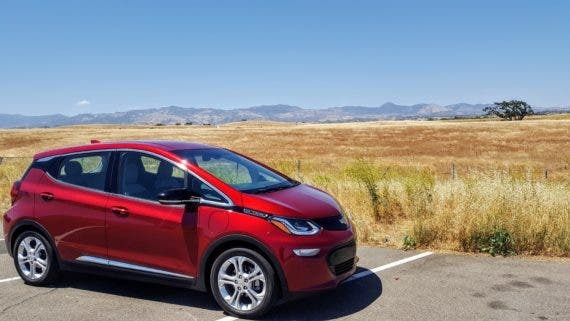 As the Bolt demonstrated, money can definitely lube the gears of the machine that develops and brings a vehicle to market, but it doesn’t break paradigms without bold leadership from visionaries and thought leaders committed to helping the company shift gears into electrified, autonomous vehicles.